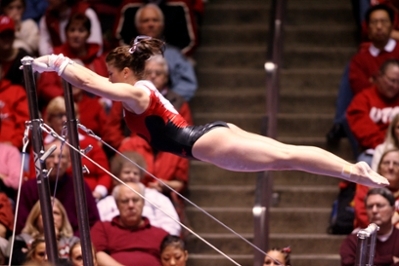 When a gymnast runs and jumps into a handspring or twists and turns around the uneven bars, she is not only putting weight on her joint but also doing it at great velocity. This puts stress on the structures that stabilize the shoulder: the labrum and the biceps tendon. Both of these structures are some of the most commonly injured.